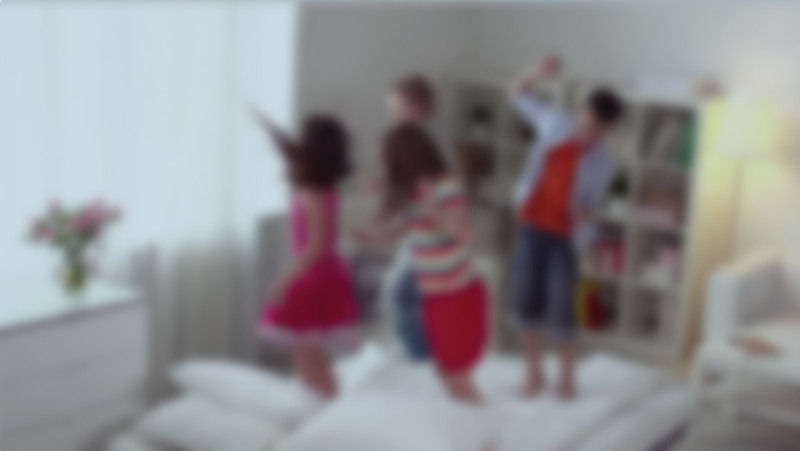 Bloom Smart™ is the world's most intelligent in home camera system that turns family moments into cherished video memories through wireless, wifi, motion detection automated HD video capture and video editing. Designed by parents. Bloom Smart™ is the first smart home camera system that acts as your own personal and private video crew, complete with an intelligent video assistant who directs the video of your family's life together. Thank you for joining the Bloom community. Share Bloom with the world! We may collect personal information when you interact with the Website, such as when you fill out a form, or request Communications about a specific service of interest. Such information may include your name, email address, phone number, and additional information you provide in an open field. We may also collect content that you provide, including postings and comments on blogs, forums, and resource areas of the Website. The Website collects standard Internet log information including your Internet Protocol (IP) address, browser type and language, access times and referring website addresses. We may use your IP address and other non-personal information to help diagnose problems with our computer server, and to provide a more optimal Website experience. If you do not wish to receive cookies, or want to be notified of when they are placed, your internet browser may permit you to do so. In many internet browsers, you can change the browser settings to warn you before accepting cookies or to block cookies. If you block cookies, you may not be able to use certain features or functions, or the Website may not operate in an optimal mode. We do not track our users across third party websites and thus the Website does not respond to the Do Not Track (“DNT”) settings in your web browsers. We may use the personal information you provide to us to manage our relationship with you, including your requests, expressed interest in receiving Communications from us, or to customize or improve the Website and related services available to you. Your personal information may be used for us to contact you by email, phone or mail. We may also use your personal information for marketing purposes, such as sending you electronic or printed Communications, or delivering digital advertisements to you. You may at any time request that we discontinue sending you Communications of any kind. We will not give, sell, rent, loan or otherwise disclose any of your personal information to any third party, unless (1) you have specifically authorized us to do so, (2) we are legally required to do so, for example, in response to a governmental subpoena, court order or other legal process, and/or (3) it is necessary to do so in order to protect and defend our or a third party’s rights or property, or to protect the safety of the public or any person. The Website may use Social Media Applications that allow you to login, comment, or share content with other uses. Any information (personal or otherwise) that you initiate with the Social Media Application can be read, collected and used by other users of that Social Media Application over whom we have little or no control. Therefore, we are not responsible for any other user's use, misuse or misappropriation of any personal information or other information that you contribute to any Social Media Application. For California state residents, you are legally entitled to request information concerning whether your personal information has been disclosed to nonaffiliated third parties for their direct marketing purposes. We do not share your personal information with nonaffiliated third parties for such purposes. The Website is not directed at or intended for use by minors. Therefore, we do not wish to receive, nor do we knowingly collect, personal information from minors via our Website. No one under age 13 may provide any personal information to us on or through our Website. In the event that we learn that we have collected personal information from a child under age 13 without verification of parental consent, we will delete that information. If you believe that we might have any information from or about a child under 13, please contact us at info@bloomsmart.com. You have the right to access, correct or delete personal information held about you by Bloom Smart. Should you wish to access the personal information held about you, please let us know by contacting us.